I could have bumped an older topic but prefer a new one. The concubine has been discussed but it does not seem that people have hands on experience playing the thing. Not so strange since it needs to be connected to an HH amplifier (which I don't have) in order to be powered and get signal. I've reversed one but expect more errors to show up. The design topology is everything but conventional, as an example. However, here's the job so far. 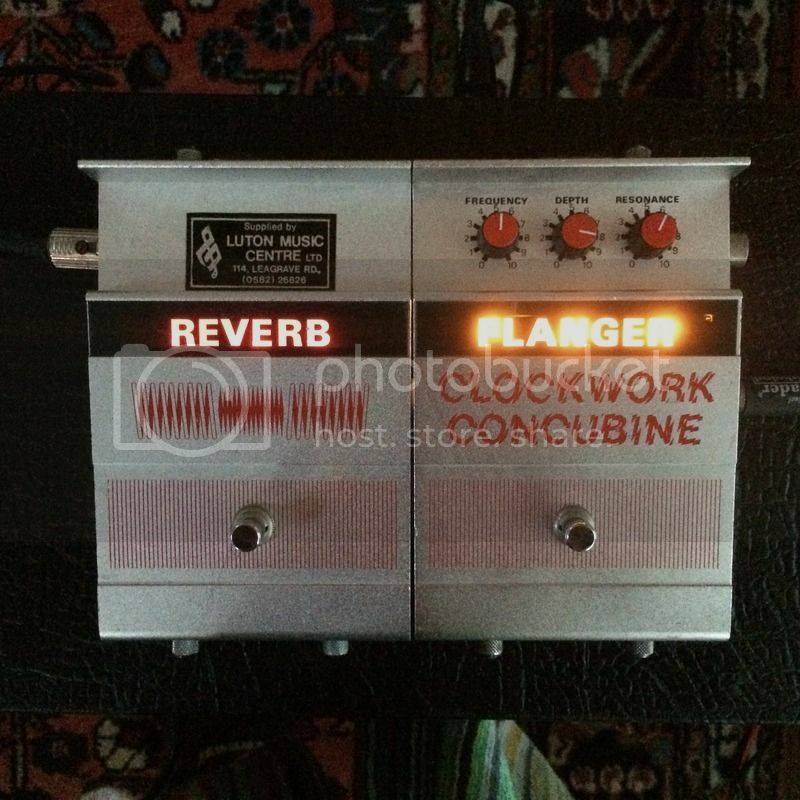 It's a flanger and uses a SAD1024. Other than that there's little similatities to the Mistress. So can you tell me how to make an adaptor cable for audio in, audio out and power? Dirk_Hendrik wrote: I could have bumped an older topic but prefer a new one. I think I have the actual HH schematic for this. I bought a service manual a couple of years ago when I got my Clockwork Concubine. I'll check when I am in the rehearsal room tomorrow! i really have no idea about where the one of the guitar input jack ?,where the one of output jack ?and where the power supply socket jack i used to call....?and how big voltage needed to operate this pedal ? 9 / 12 volt adapter or 110 / 220 volt ? Searched the amp but I can't differ it from the outside. 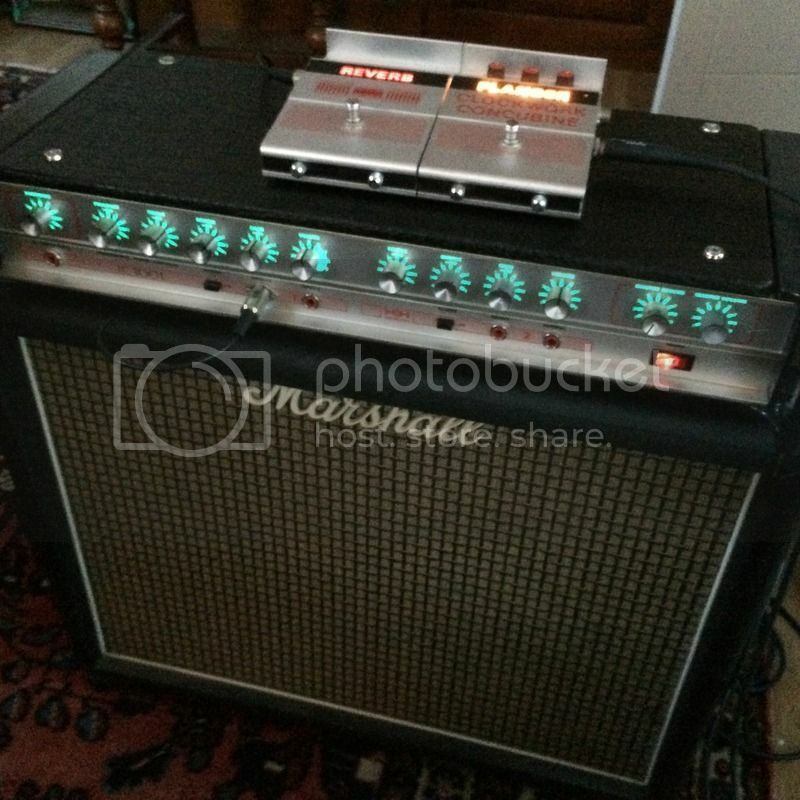 When my guitarist uses my new build amp I'll check out his HH! Hi Dirk - I have several factory HH schematics - what model of HH amplifier were these Clockwork Concubines used with?? No clue... The Clockwork Orange is the only HH product I have. Not the best quality, but this should help. This came from my H&H Service Manual. Poor quality scan indeed but with my drawing and the real thing here I should be able to fill in the blanks. Much appreciated! Just scored one on eBay! When it arrives I'll take some gut shots and try to work out some kind of interface box. It works. I think the cable is the original one, too. The amp would be ok for spiky rhythm work, which is why I guess Bolan and Wilko Johnson liked them. Has anyone here figured out the voltages on these things? I got one over 10 years ago and started looking for the schematic, emailed the maj electronics people but never heard back. I had given up until I saw this thread. I think it runs on 18v. I modded one some 8 years ago, but i dont remember the voltage for sure. I found the schematic for the HH VS Musician that has the effects DIN connector. Looks like it's feeding the pedals +-48v. Does that sound familiar?